Part of the thing that really impressed and intrigued me about Laura's story is how her desire to move home informed her business decisions. It is hard for many people in our province to find jobs at home in their respective fields, and Laura and her husband are no exception. Instead, they created their own opportunity and completely switched fields in order to be able to be near their family. I really admire this about her, and am grateful for the reminder that sometimes we really do have to make our own opportunities. We all have a lot of power when it comes to how we govern our lives, and while we can't control everything that happens to us, it is encouraging to know that we can take control from time to time. 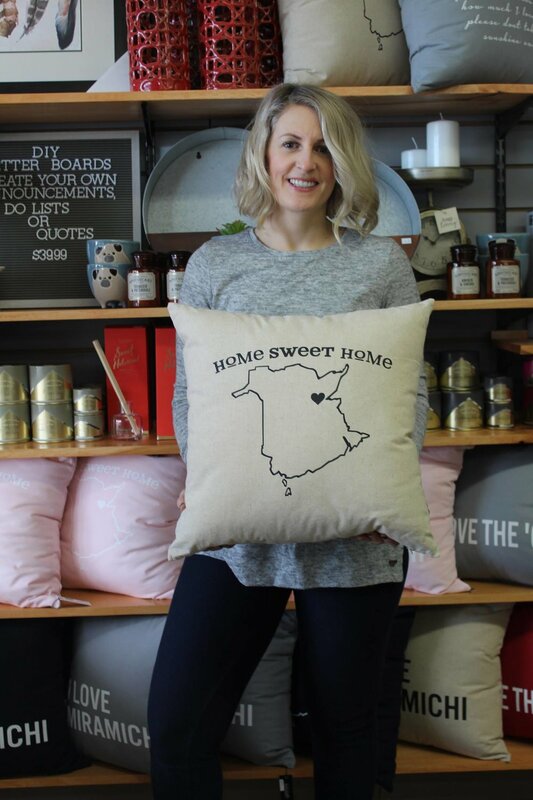 Meet the next feature in the Ms New Brunswick series: Laura St. Coeur, the owner and operator of The Urban Nest, a modern and unique home goods and gift shop in Miramichi. Read about how she took a huge gamble in order to move closer to her family, and how it paid off. Tell me about the Urban Nest. The Urban Nest is a unique little shop that specializes in gifts, home goods and popular baby and kid products. We carry a variety of things like pottery, pillows, bath products and jewelry. I really try to find special products that anyone would want to receive as a gift. Lots of our products are locally made. 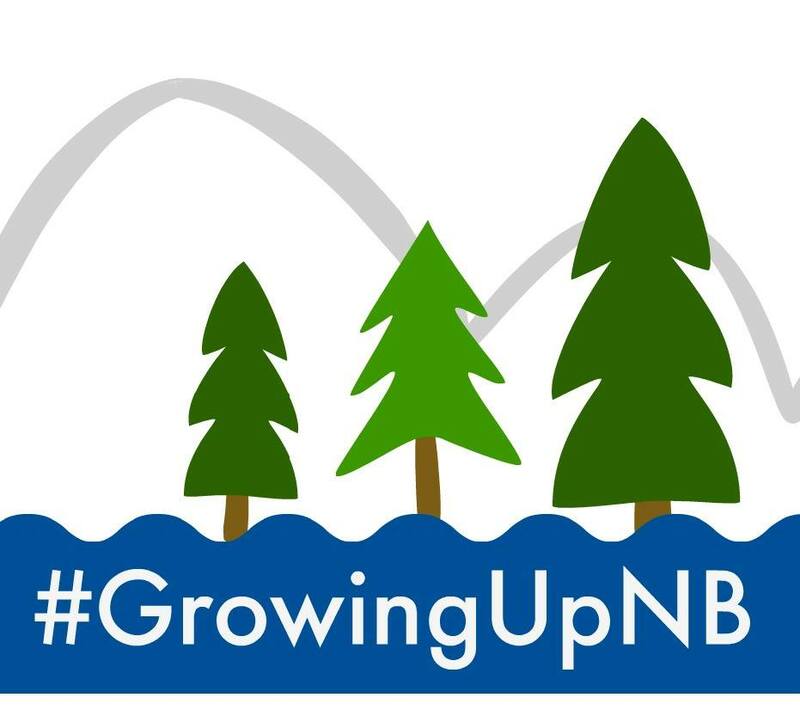 A lot of our suppliers live right here in New Brunswick, and we love supporting other businesses that way. We have a really big selection of “Miramichi” products, and we can barely keep them on the shelves. People from Miramichi have so much pride in where they’re from, they love to have things in their home that reflect that. We really are a great place to find a special and unique gift for someone in your life, which is really my favorite thing. I absolutely love helping people pick out items that they think someone in their life would love, at any budget. My husband Wade and I are both from Miramichi but after university moved to Toronto for work. We actually lived away for ten years, but had always wanted to move home, especially after we had our daughter. We just really wanted to be close to our families. We heard about a gift shop that was closing (the previous owners were retiring) and we knew there was an opportunity there to take it over. We sort of laughed it off, because we had no retail experience – like zero. I am a teacher and Wade worked as an electrician and instrument technician in an industrial mill so it’s not like we had the background for running a store. The more we talked about it, the more it seemed like maybe we could/should do it, and even though it was scary, the idea of letting a chance to move home pass us by was scarier. Our lives look a lot different than we had planned even five years ago, but we love it, and we are home, and that’s been so amazing. Do you both work at the store? Yes. Wade and I are partners in everything. The plan was for him to help out for a bit and then maybe look for something else, but we are coming up on three years and I couldn’t do it without him. We are both in it for the long haul now. It just works. I really don’t think that the store would be successful without him. We think very differently so it’s really great, because I know that I’ll always be able to get a different perspective out of him. It’s also nice to work with him because we have complete trust in each other. In life and business our goals are totally aligned. Yes definitely. The resources here are great for small business owners, so we received a lot of help getting started. I worked with the CBDC quite extensively because I was brand new to retail. I found the courses to be relevant and high quality and the training and feedback was wonderful. The community has been great too. Our store brings something new, and I think needed, to the area. There was a lot of excitement around our store opening because we were taking over the other store and there was a buzz about that. People here are very interested in what’s going on, and there is usually a lot of friendly chit chat. Sometimes that sort of works against us because the message can get a bit muddled. Last year I was trying to upgrade our display cases so was trying to sell some old fixtures and next thing you know I’m getting phone calls from people who are telling me they’re so sorry to hear we are going out of business. Sounds so much like small-town living. Yes I think so. This place can be so funny, because one badly worded Facebook post can get the town talking, but then I hear from new customers all the time that they’ve never heard of us. Ages ago, in the building where we are located, there used to be a vacuum cleaner repair shop, and we literally see at least one person a month who comes in looking to have their vacuum fixed. I kid you not, the place has been gone for at least fifteen years, but people still come in all the time looking for it. So around here something can be a hot topic of conversation, but at the same time it’s really hard to get the word out. Wade and I try to create a consistent routine. We each have different roles. He drops our daughter off at school and opens the store, we work all day and then I get to pick her up in the afternoon. I work Saturdays sometimes, but he gets weekends off. We have a lot of family who chip in when we need it. That was such a huge part of the reason to come home and it helps with the Mom guilt. I don’t feel as bad about having to work a weekend if I know she’s with her cousins having a blast. We are really good about putting the phones and computers away when we’re home, and we don’t do work in the time after school but before bed. Once she’s in bed we will work but we are focused on home life when we’re home. Have a really good network. Family or other businesses, whatever. When we opened there were other new businesses opening up at the same time in the same area and we all connected and helped each other out. We have created this little community of retailers supporting retailers, and we feel really lucky to be part of it. Laura told me that her Dad was an entrepreneur and she felt like she had those skills in her bones. It's true that owning your own business is not for everyone, and that it is more than a lot of work. Yet, I find that there is something comforting about Laura's story. I like the idea that if we aren't living where we want to live, or working where we want to work, that we each have the power to change our circumstances. I think that sometimes we feel trapped by our situation, and life can feel complicated, but the truth is that change is hard. Even the good kind of change that you are waiting for or wanting for yourself. Good things don't always mean easy things. Laura bought a gift shop with no retail experience in order to raise her family at home, and I admire that. Is it easy? No. Is it worth it? Laura thinks so. I will tell you that I have no doubt that Laura is perfectly suited to retail life, she is so easy to talk to. She is a natural conversationalist and our chat went over an hour and veered off topic many many times. Her love for curating a shop where you can find the perfect gift is abundantly clear. I can tell you that I am certain that she is in the right line of work, and that her business will continue to be successful. If you're in the Miramichi area, make sure you stop in at The Urban Nest!